Providing HFC Line Gear, Headend , Fiber Optic and Power Supply equipment support solutions to MSO CATV operators. 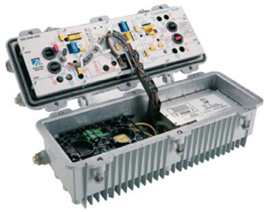 ATS also offers AGC DSIM upgrades for your line extender and amplifiers during the repair process. See a listing of some of the items we support here>. . Please call if you item is not listed as we provide replacement products and repair services for many manufactures and devices.